Consisting of PRO #1 precision duty knife handle, 1 PRO #2 medium duty handle, 1 PRO #5 heavy duty handle, 21 assorted blades and gouges, 1 screwdriver, 1 pinpoint stylus, 1 mitre box, 1 razor saw blade and 1 sander box with sandpaper and wedge. All in an attractive box. 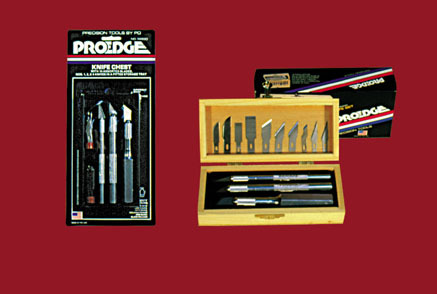 Offers 1 each PRO #1, #2, and #5 precision, medium, and heavy duty knives with 10 assorted blades. 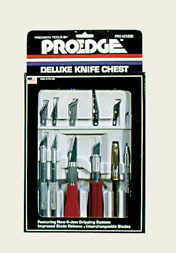 Offers 1 each PRO #1, #2, and #6 precision, medium, and heavy duty knives with 10 assorted blades. Complete with PRO #1, #2 and #6 precision, medium and heavy duty handles; 1 PRO #3 pen knife, 1 PRO #7 woodcarving handle, 1 free flow swivel knife and assorted blades. 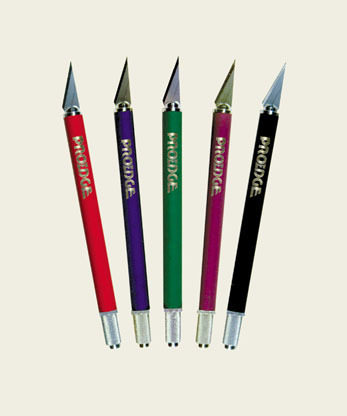 A rainbow of knives featuring a soft rubberized handle and a non-roll end peice. Available in 5 colors. 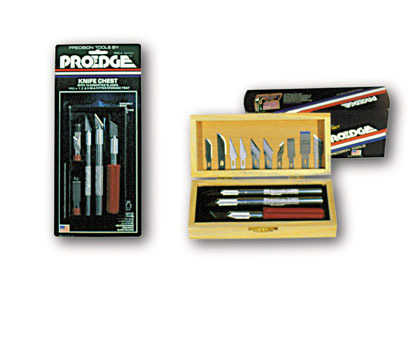 Consists of 1 PRO #1 precision duty knife, 1 PRO #3 pen knife and 10 assorted blades. Multiple uses. 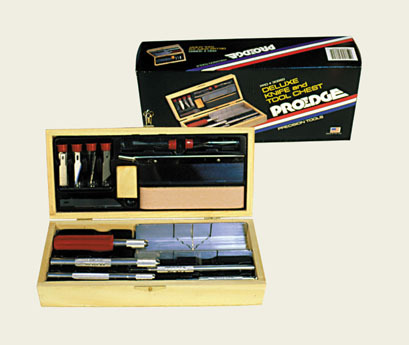 PRO #51 precision duty knife set for cutting thin paper, wood, or thin metals. Comes with 5 assorted blades. 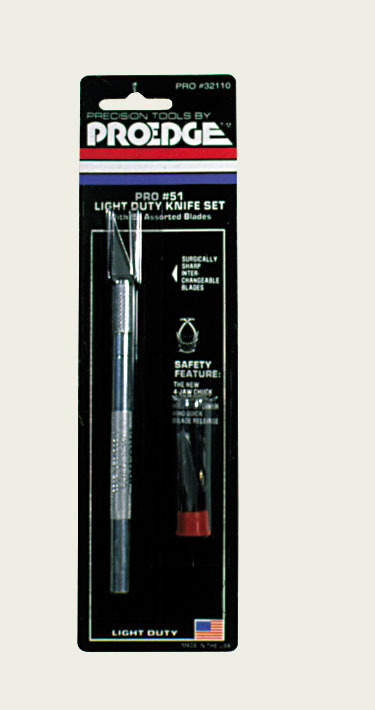 PRO #52 medium duty knife set for cutting medium to heavy materials.Comes with 5 assorted blades.